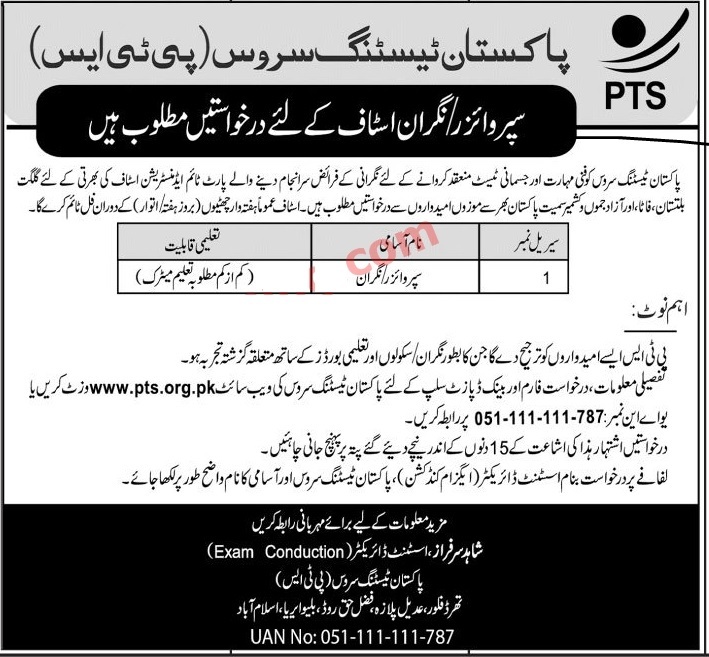 Pakistan Testing Service (PTS) has Published The applications for Invigilator / Supervisor positions from Punjab, Sindh, KPK, Balochistan, FATA/GB & AJK. These Invigilators / Supervisors will be required to work on weekend Basis to conduct test across country. 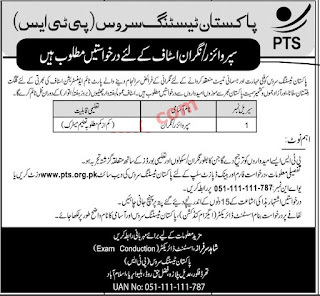 The application forms along with deposit slips can be downloaded from the PTS website www.pts.org.pk or from the given link below. Duly filled application forms along with paid deposit slip should reach the proper address. Applicants are required to address the application in name of Director (Exam & Coordination) PTS and the applicants should clearly mention the name of the said post. Applicants are required to pay 270 PKR Test fee in UBL & HBL Bank. Address: Deputy Director (Exam & Coordination) Pakistan Testing Service (PTS), Headquarter 3rd Floor, Adeel Plaza Fazal-e- Haq Road, Blue Area, Islamabad.